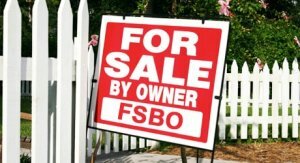 If you own a home and are thinking about selling your house, but you don’t know where to start; take a look at your 3 options. Maybe you have questions about how it works or how long it takes to sell your house for cash. Have you thought about your timeline for moving out and when you need your house sold? Does your house need repairs and you are worried about the cost? Have you added up all the costs of commissions and fees if you decide to list your home? If you haven’t thats ok! For most people, owning a home is the largest purchase of their lives. So it’s not surprising that the process of buying a home or selling a home can be extremely complex. At Nexus Homebuyers, we want you to make the best decision for you and your family. We provide you with the tools to weigh all of your options when selling your home. In fact, there are three options when selling your home in Tennessee. As you think about selling your home, you need to decide which way to sell is best for you, given your goals and timeline to sell. When the majority of homeowners think about selling a home, they think about listing with a real estate agent. 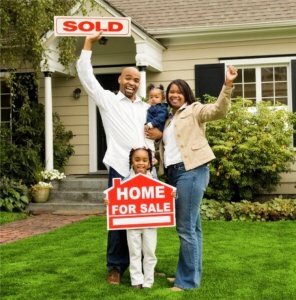 However, there are three ways to sell your home. The agent acts as a “middleman,” showing prospective home buyers through your house until one of those buyers decides to buy. They’ll make an offer, the agent will negotiate on your behalf, and then you’ll close. process is very similar to the above method of selling but it’s done by the homeowner themselves, and not by an agent. This method of selling a home is gaining popularity as homeowners look for a third way to sell. This process is very different – it’s also faster, easier, and doesn’t cost the homeowner anything (so it’s not surprising that this method is gaining popularity). Rather than listing and showing the house or negotiating, the homeowner simply sells their house direct to a professional cash homebuyer who is ready to buy the house as-is right now. It’s faster – the buyer has money and is ready to buy; it’s easier on the seller – there is no expense or effort to repair the house before it’s sold; and it doesn’t cost the homeowner anything – professional homebuyers (like what we do here at Nexus Homebuyers) usually pay closing costs and fees. Do You Own A Home That Has Mold?